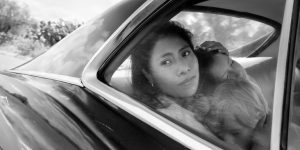 It was a big morning for ‘Roma’ and ‘The Favourite’. The 2019 Oscar nominations were announced this morning (January 22), with Kumail Nanjiani (The Big Sick) and Tracee Ellis Ross (Black-ish) making the announcement at a press conference in Los Angeles. Alfonso Cuaron’s Roma and Yorgos Lanthimos’s The Favourite led the pack with ten nominations apiece, while A Star Is Born and Vice both earned eight nominations. The 91st Academy Awards will take place on Sunday, February 24, airing on ABC. Tapping, or EFT (emotional freedom techniques), is used to release negative emotions. Stunning details you need to see from the haute couture shows. Royal wedding florist Philippa Craddock talks us through. This Spring/Summer ’19, strength comes through in the form of bold statement power lips.